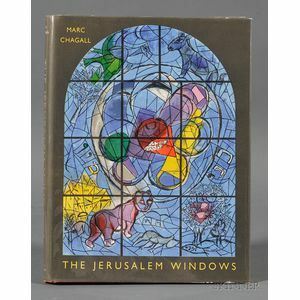 Chagall, Marc, Jerusalem Windows. 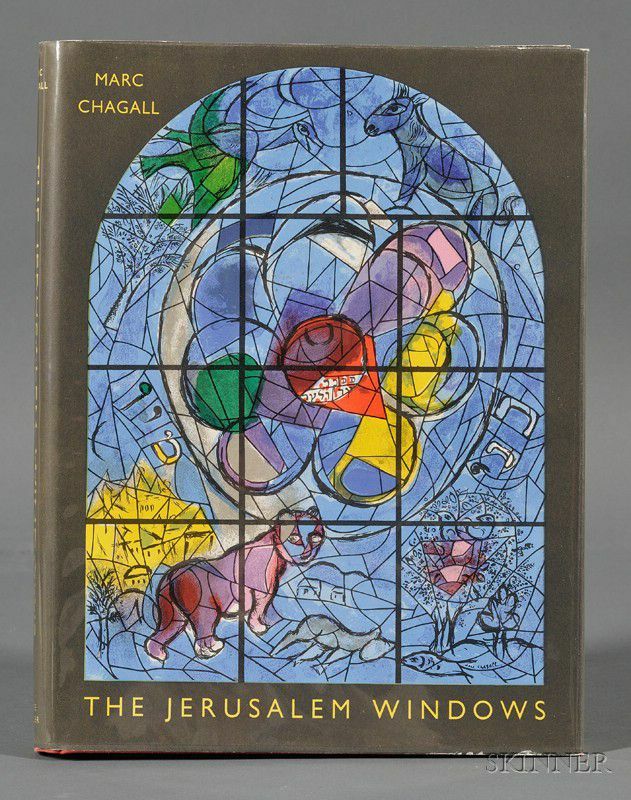 New York: George Braziller/Andre Sauret, 1962. first American editon, folio, original red cloth, Mylar protected dust jacket, in publisher's slipcase, includes two original colored lithographs done expressly for this edition. Text and notes by Jean Leymarie, (owner's bookplate removed).